Windows always restarts automatically when a Blue screen shows up. This is, perhaps, a security feature that allows faulty hardware and software to not make harmful changes to your computer in case of its failure. In any case, the blue screen almost always causes data loss along with loads of other faults in the computer. 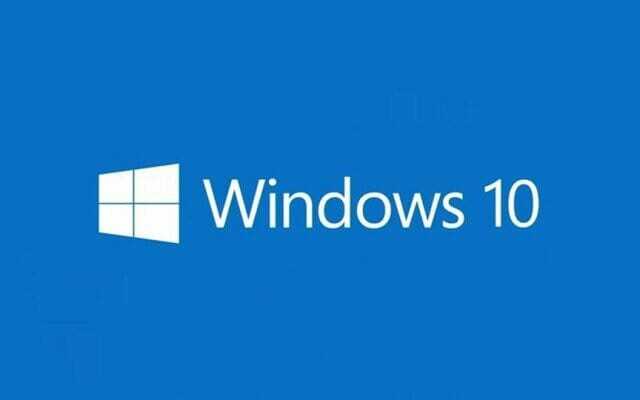 If you are annoyed with this automatic restarting of Windows in the event of a blue screen, there is a way to disable it. Windows 10 itself provides an option to disable this behavior. 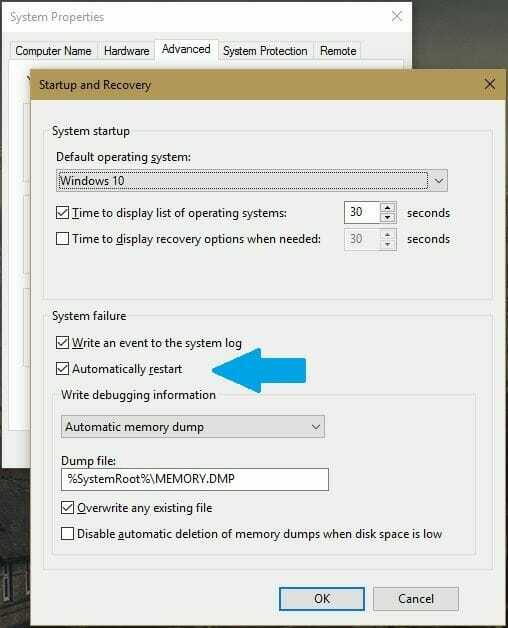 You can use the advanced system settings to disable automatic restart. Press Windows + r to open the Run box. In there, type SystemPropertiesAdvanced and press Enter. This will open the System Properties box on the Advanced tab. Click on Startup and Recovery button to open Advanced Startup options. Under System failure, uncheck the Automatically restart field. Click OK and close everything. This is it. Now in the case of a black screen, your PC won’t restart itself. You should note however is that sometimes the black screens are caused by fatal errors which require the computer to be restarted to get fixed.